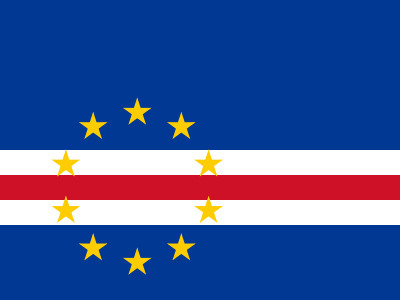 Cape Verde has a very small defence force but faces almost no military threats, especially due to its traditional non-aligned status. The military is being reorganized, with the armed forces to have a total strength of around 1 000. This will consist of the National Guard on land and Coast Guard on land, as well as a small support staff. The military’s main roles will be counter-terrorism, combating drug trafficking, providing disaster relief and patrolling the seas. As the archipelago of ten islands has no navy, the Coast Guard provides maritime security although its main duties are peaceful. Drug smuggling, illegal fishing and illegal migration are all problems in Cape Verde’s waters, but this has been addressed by the Coast Guard’s new flagship offshore patrol vessel, the 51 metre Damen Guardiao, which was commissioned in January 2012. Cape Verde’s Coast Guard receives assistance from Brazil, Portugal and the United States in both materiel and training. Cape Verde sold its Embraer Bandeirante to South Africa in 2008 but in 2012 Brazil announced that it would donate Bandeirante aircraft to the archipelago. Political	 •	Elections were successfully held in 2011 and the country is considered to be politically stable. Economic	 •	Cape Verde economy is highly dependent on remittances from emigrants and foreign aid. • The country faces extreme water shortages and 75 percent of its food must be imported. Any disruption to the islands lines of maritime supply could lead to internal instability.